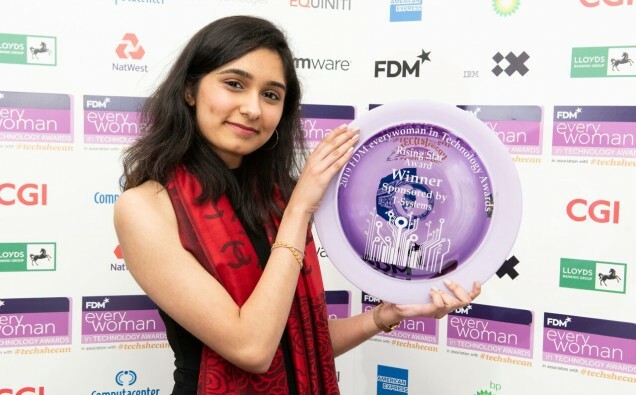 The winners of the 2019 FDM everywoman in Technology Awards, in association with The Tech She Can Charter, have just been announced. Taking place the week of International Women’s Day, the awards celebrated 50 of the most talented individuals shaking up the tech industry, both in the UK and beyond and showcased the huge contribution women are making to developing and implementing exciting new products and solutions. These included the founder of a business helping engineers perform complex inspections using drones; a young CEO who created an app at the age of 16 to teach thousands of children how to code; and a leader whose innovation helped drive over £500million in global revenue. Research by PwC has found that only 5% of leadership roles in the technology sector are held by women and just 3% of British female school students would consider a career in tech. * A shortage of female role models was cited as one of the main reasons young women don’t feel encouraged to nurture their interest in technology, which is why platforms such as the FDM everywoman in Technology Awards that share the success stories of individuals at all stages of their career are so vital. Aside from category winners announced on the night, the overall Woman of the Year was Felicia Meyerowitz Singh, CEO and Founder of Akoni, from London. On setting up her own finance business in India, Felicia identified a lack of resources available to SMEs and that banks didn’t offer decent interest rates to small businesses. This inspired Akoni – a digital cash management tool, specifically for smaller businesses, investors and charities. Felicia is dedicated to gender diversity in finance and technology, which is why she founded a “Female Founder” group offering mentorship to young female entrepreneurs and dedicates her time to promoting gender equality. Her passion for helping small businesses thrive and succeed is what made her truly stand out to the judging panel. Sheridan Ash, Technology Innovation, and Women in Technology Leader at PwC adds: “The FDM everywoman Technology Awards is the perfect opportunity to celebrate fantastic role models within the tech sector across multiple industries. Award categories like Rising Star and Male Agent of Change are essential for changing the ratio for the gender imbalance in technology careers and I’m delighted that The Tech She Can Charter supports this. Every winner should be proud of their achievements and continue the great work they’re doing to inspire others, particularly the younger generation, into technology careers”.